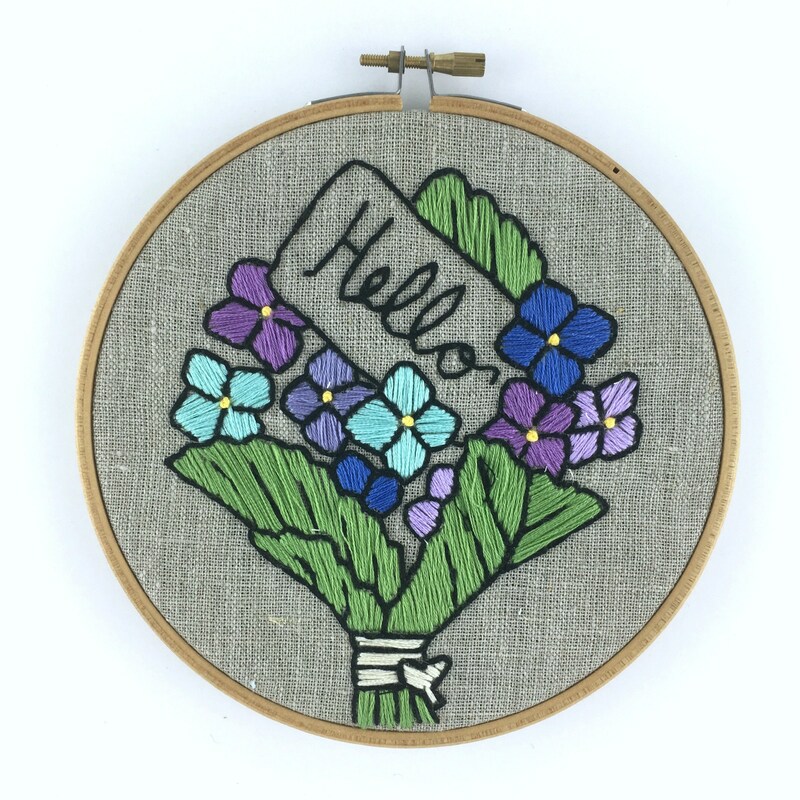 Floral embroidery kit; stitch a cheery bouquet of hydrangeas! 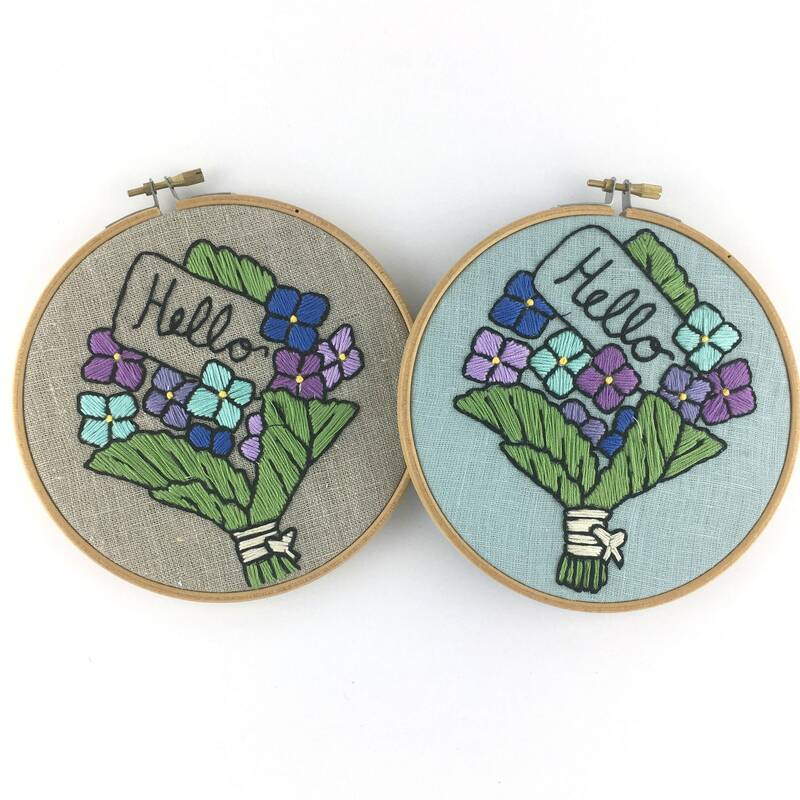 This hand embroidery kit is easy, modern and fun - it's like colouring, only with thread. Order this if you have your own hoop, thread, and needles. Order this if you have your own hoop, but want the convenience of having the needle, thread and instructions at hand. Order this if you appreciate the convenience of having everything you need at hand, if you are new to stitching, or as a gift. Whichever you choose, expect your kit to arrive beautifully packaged and full of high-quality components and thoughtful instruction. 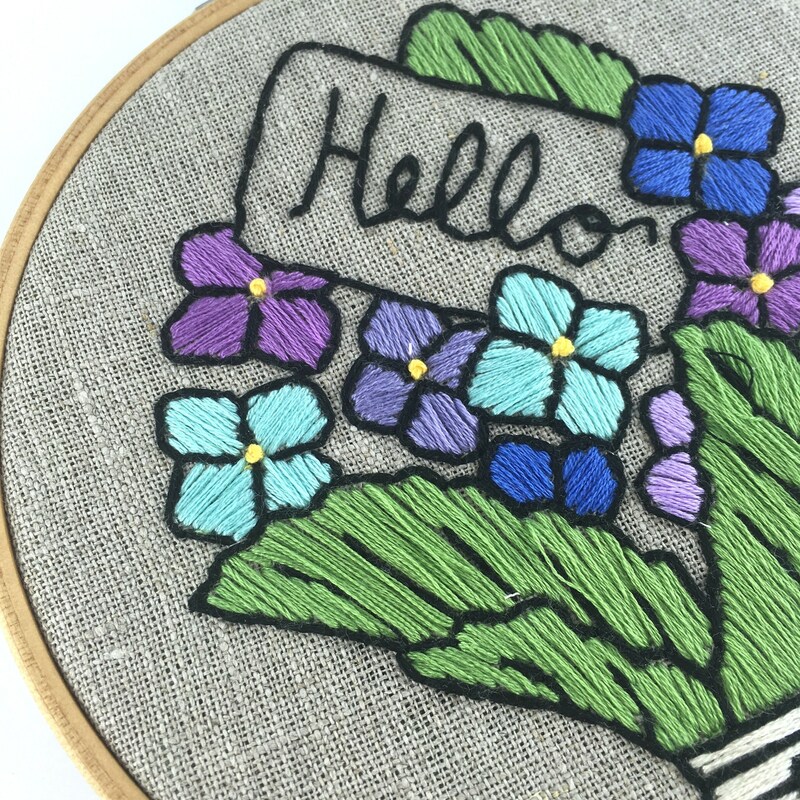 This hand embroidery pattern looks complex, but in reality the stitches used are very simple! An adventurous beginner will tackle it just fine, and a more experienced stitcher will enjoy perfecting the details! Kits and patterns alike ship for a flat rate of $5 to USA, $10 International. Canadian shipping is free. Fabric measures approximately 10.5'; x 9'; image measures 4 x 6'. *Please note: the exact hoop varies depending on supply. A quality wooden hoop is included with each complete kit; may not be the exact hoop pictured. ALL IMAGES AND TEXT ARE COPYRIGHT SARAH MILLIGAN/I HEART STITCH ART, 2014-19. 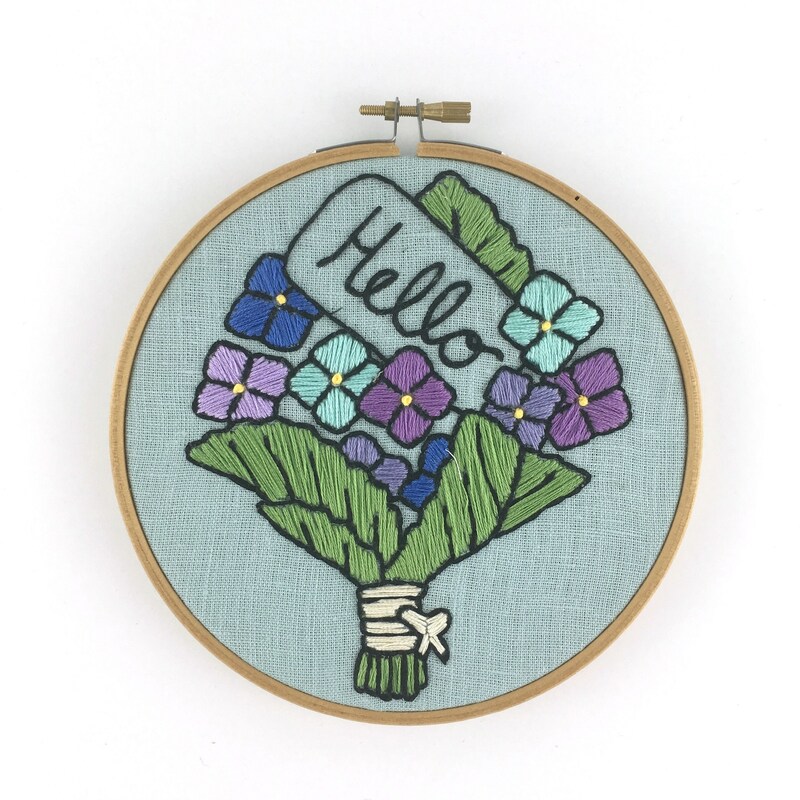 Please contact us at sarah@iheartstitchart.com! All kits are wrapped with care in gift-worthy packaging. I am always happy to include a gift message if you desire - just let me know what you'd like to say in the order notes! If you'd like a truly outstanding gift wrap, we can accommodate that too! Sizing details for each pattern are indicated within each listing.